Achieve strikes again! Achieving a tidier and healthier living space. Okay, I'm a sucker for certain types of books. Organization is on the top of that list. By nature, I'm a natural organizer, but I'm always looking for new ideas. I didn't necessarily find any in this book, but she does have a simple method that I've been telling folks for years... Does it bring you joy? If not, let it go. It's a method that I talk about in my own Organization group on Facebook and it's one that I think everyone should employ. Obviously, this doesn't work for certain things like necessary cooking or cleaning products, but it does in nearly every other scenario. 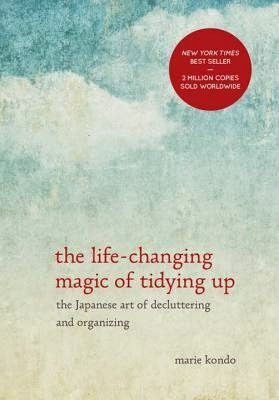 There are certain things that don't work in every home (such as placing bookshelves into closets), but I think that this is a book that everyone can take something from and make it work for you. No plan is perfect for everyone, but everyone can tweak.